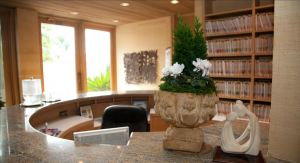 At SK Clinic of La Jolla, our San Diego plastic surgeons team believes that successful cosmetic surgery begins with healthy preparation of the mind. Choose a plastic surgeon in San Diego who helps prepare you mentally and listens to your exact desires. Dr. Stephen Krant, a San Diego plastic surgeon and medical director, insists that dialogue be an integral part of every cosmetic surgery procedure we perform at SK Clinic. Our La Jolla plastic surgeon team is confident that they can bring positive, dramatic change to your appearance and consequently, your life. It begins with dialogue. We want to know about you. What makes you happy? How do you measure your own success? How do others see you? And most importantly, how do you see yourself? To gain your trust, we are very forthcoming with our credentials, which are among the best in the industry. Dr. Stephen Krant has been consistently voted as the best plastic surgeon in San Diego, La Jolla specifically, in the La Jolla Light Readers Poll for 13 consecutive years. Learn more about Dr. Stephen Krant, one of the best La Jolla plastic surgeons, upcoming events and our celebrated San Diego plastic surgeon team at SK Clinic.